Get Physical co-founders M.A.N.D.Y. continue to rework and remix their recent LP ‘Double Fantasy’ LP and this time round it’s ‘Rabbit Mountain’ which gets two interpretations from the duo and another from Gerd Janson. 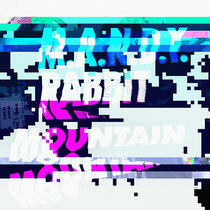 Up first on the package is the ‘Rework’ version of ‘Rabbit Mountain’ which sees M.A.N.D.Y. deliver a smooth and melodious take on the original, laying down seven minutes of metallic percussive chimes, rumbling subs and emotive string melodies. Gerd Janson steps up to follow, turning ‘Rabbit Mountain’ into an acid frenzy with squelching 303 bass licks acting as the driving force whilst shuffled rhythms and the original’s bell sounds ebb and flow throughout. Lastly M.A.N.D.Y. deliver another mix to close the package, this time round entitled the ‘8 AM Version’ and as the name would suggest it’s aimed at those euphoric early morning moments on dancefloors, doused with dreamy atmospherics and emotive string progressions. ‘Rabbit Mountain’ is out on Get Physical tomorrow.